Are you yet to take up river cruises because you think you’ll be bored? Concerned that you might end not having anything to do while onboard river cruises? Well, read on to find out whether river cruises are fun and if you’ll find fun activities to do while on board. For many people who are yet to experience river cruises, chances are that they think/or are wondering if it’s boring or not. This comes as no surprise to me and many more as we’ve all had the same question before boarding a boat for our first river cruise. So is it boring? Does it offer things to do while on your cruise? Well, the best way to answer this question is by looking at what makes river cruises more fun now than ever. In particular, will be focusing on Rivergum Cruises and the services they offer that make cruising more fun than ever. Before that, however, this post looks at how river cruise companies have changed and why. With an increase in the number of passengers demanding more active excursions while on board cruises together with the number of travellers seeking authentic and unique experiences, cruise lines countrywide have been forced to come up with creative fun activities. Top on the list of river cruise lines in South Australia that has tailored its services to suit modern day cruiser is River Gum Cruises. One of the many steps we’ve taken towards making river cruises more fun is introducing a variety of cruises. These are specially designed to appeal to a wide range of people. With these cruises in place, you are guaranteed a happy fun filled cruise. As the name suggests, this refers to short cruises upstream or downstream the river. In their efforts of making their services appealing to everyone, they do have a variety of short cruises. 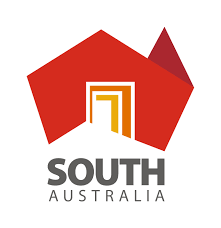 These are Waikerie Cruise, Sunset Cruise, Broken Cliffs Cruise, Ramco Redgum Cruise and Yarra Cliffs Cruise. With Waikerie Cruise, you get to enjoy a 2-hour upstream and downstream cruise onboard Qatar. 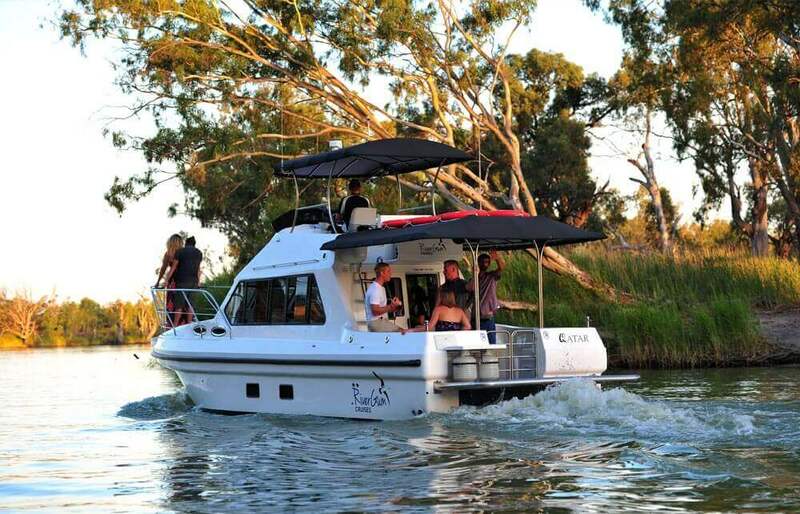 While on board, you’ll get to enjoy the beat Murray River offers as well sip on your favourite ale. Sunset Cruise like the name suggests presents an opportunity to cruise while watching the sunset on the Waikerie cliffs. If you are after an unforgettable moment then this is perfect for you. Why? Well, the colour of the horizon as a result of the sunset will leave you at aww. Even better, you’ll be sipping your favourite ale throughout. Broken cliffs cruises are perfect for just about anyone who’s looking for a relaxed cruise. While onboard the houseboat marina, you’ll get to enjoy the very best of wildlife and the glorious limestone cliffs. While cruising upstream to Waikerie riverfront, you’ll be greeted with stunning landscape and lots of birdlife. Ramco Redgum Cruise offers the very best in all things leisure. The downstream cruise will take you all the way to Ramco. During this time you’ll be able to see a variety of wildlife, houseboat marina and limestone cliffs. The upstream to Waikerie riverfront allows you to see the abundant bird life. During this Yarra Cliffs Cruise, you’ll see 200-year old canoe trees and ski beach. Additional eye-catching activities include the wildlife and limestone cliffs. While cruising downstream this 2-hour cruise you’ll see a breathtaking landscape. Rivergum cruises offer a variety of delightful day cruise. This includes Banrock Station Cruise, Caudo’s Wine & Dine Cruise, Overland Corner Cruise and Lunch at the Lock Cruise. Below is a brief look at what they entail. Cruising the mighty river onboard Qatar is what you get with this Caudo’s Wine & Dine Cruise. The services are available twice, one in the morning and the second one in the afternoon. With the afternoon cruise, you get to enjoy a BBQ Grill. You’ll also try the famous Sangria. Need some time off to enjoy scrumptious meals and wine tasting at the Overland Corner Hotel? Well, Rivergum’s Overland Corner Cruise is ideal for you. This cruise, just like the rest, offers a morning and afternoon cruise option. This 6 hour Lunch at the Lock Cruise will take you to Lock where you have the option of having lunch in the beautiful picnic grounds. There is also an option of taking a leisure walk while there. If you’ve gone through what Rivergum Cruises offers and just can’t find a perfect fit, you have the option of creating your very own cruise. Whether you want to stop for a swim, catch a few fish here and there or simply have a picnic. This service puts you in total control. Simply visit this Rivergum Cruises Design Your Own Cruise page. There you have it, a detailed list of fun river cruises offered by Rivergum Cruises. There are lots of details not covered in this post. Therefore, if you happen to have a few queries or inquiries, don’t hesitate to contact them. Getting in touch with a representative from Rivergum Cruises can be done in two ways. One, you can choose to contact them via email. For this, you’ll need this email address info@rivergumcruises.com.au. Two you can contact them over the phone. For this, you’ll need this phone number 0477 333 896.